The The Sacro Monte of Ghiffa, which is dedicated to the Holy Trinity, is located in a magnificent position dominating Lake Maggiore (360 metres asl). This incomplete baroque complex goes back to the Borromean conception and architectural models for example, of the Sacro Monte of Orta and of the Sacro Monte of Varese. The Sacro Monte of Ghiffa dates back to the 17th century. It was Saint Charles Borromeo who chose this place to build a sanctuary, moreover on the ruins of an older church (the ruins of a Romanesque church were found here). In truth, only three chapels were built around the nucleus of the sanctuary and the administration only decided to renovate them in 1987. The work of an unknown architect, the complex closely follows the conception of the Borromeo family and the style of the Lombard Sacro Monte with a series of votive chapels (certainly the project envisaged more than three) built along a cobblestone path. 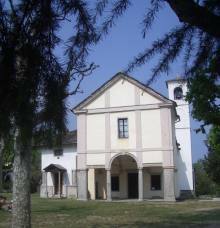 The complex is located in the woods of the almost 200 hectares of the Ghiffa Sacro Monte della SS. Trinità Nature Reserve (also founded in 1987). The sanctuary in the middle of Ghiffa’s devout complex is dedicated to the SS. Trinità (Holy Trinity), as was the previous 16th-century oratory home to the fresco dedicated to the Trinity of Christ. This ancient and now famous image depicts the Trinity flanked by three poses of a single Jesus Christ, typical of the 15th-16th centuries (this type of depiction was prohibited by the Pope in 1745 as it was considered inappropriate). As early as the first centuries after Christ, the Trinity was depicted as three anthropomorphic figures, thus initially going back to the biblical tale of the meeting of Abraham with the Lord, who appeared in the form of three angels, in front of whom Abraham humbled himself by offering hospitality. 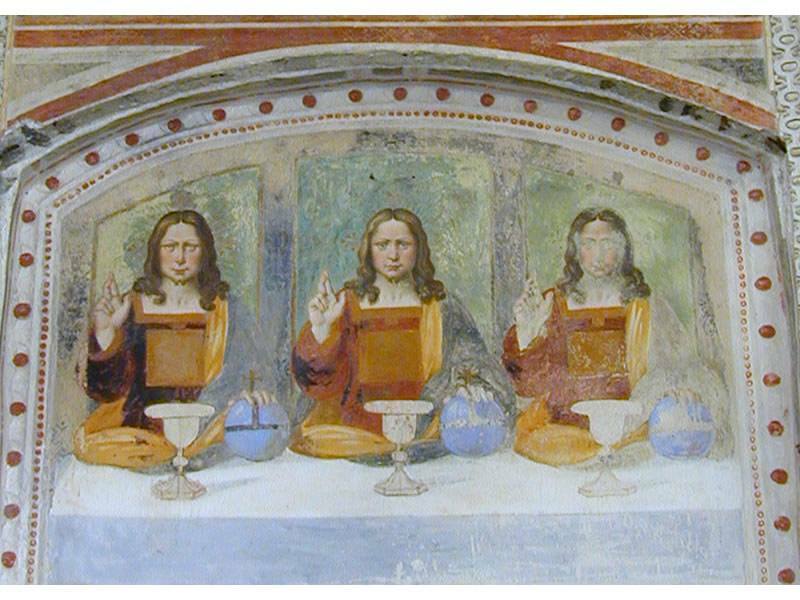 Different depictions of the Trinity are also in the chapels and illustrate the evolution of the iconography of the Trinity over the centuries. This iconographic evolution follows the one of the worship of the Trinity, and as in Ghiffa, also appears in other places in Italy and Europe.